Yesterday was one of the best days of my life(besides the birth of my children and my wedding day 4 1/2 years ago). 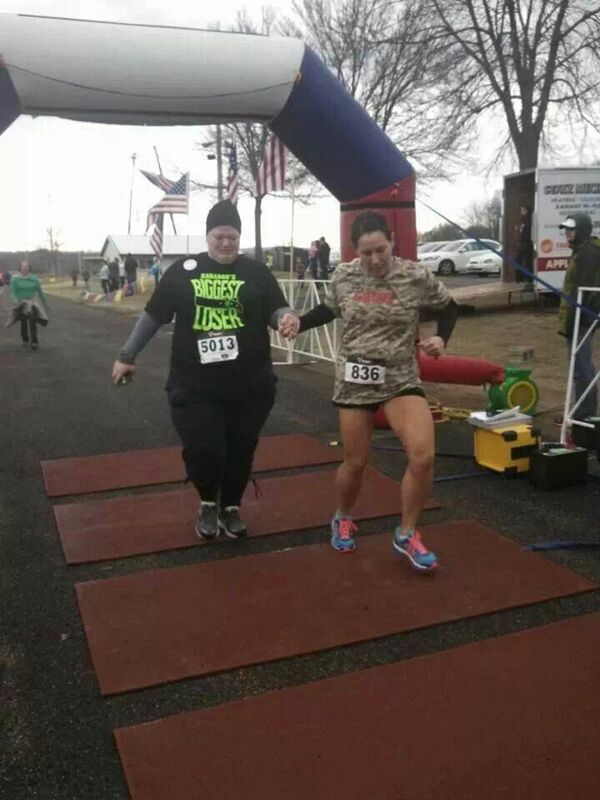 The past 5 weeks I was honored to meet some wonderful people that came together to train with me for the run that changed my life…..Reedsburg Vet Fest 2014. We met in some of the coldest conditions but celebrated in the end crossing that finish line. I felt like a mother bird seeing her babies take flight for the first-time. You are all amazing people and thank you for allowing me to be part of your journey yesterday. I’m looking forward to our next training and runs together. My E-book is available on Amazon. It is simple, easy to read mean’t to inspire you to start your run/walking journey. As Chief Inspiration Ambassador for Fireman Rob Foundation I will be donating $1 from each sale. The money from the foundation supports the mission of visiting 1 children’s hospital in 50 states and providing teddy bears. Next week I will be leading my first ever running group. I’m excited on this new adventure. It does come with all those same questions and fears I had when I first started my running 1 1/2 years ago. What if…..they are faster, skinnier, or healthier than me. I then realize all of this doesn’t matter. What matters is that we are all coming together for one common goal, to run together. To possibly form a bond with one another. Hoping to find one person in the crowd that will push, cheer, and cry with us along our journey. That is my goal for this group to find your running soulmate as I found with my great friend Kathleen. So let’s get out and move. Why I’d rather be running then share my story.